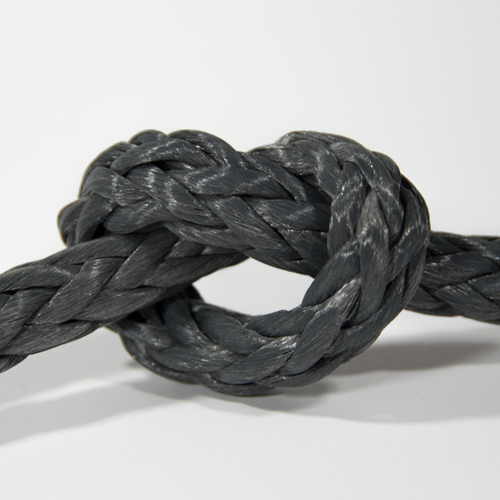 When it comes to steel cable versus synthetic Dyneema rope for marine and off-roading applications, there seems to be a distinct divide amongst enthusiasts. No matter where you go, people seem to argue the quality of both types, making it hard for someone to define the truth. 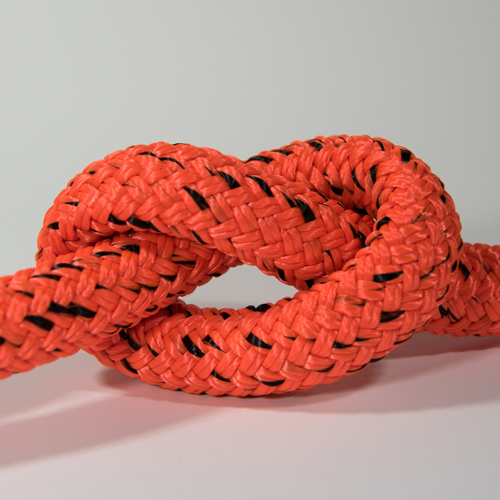 Over the past few years, synthetic rope’s popularity has dramatically increased, and it is now widely available. 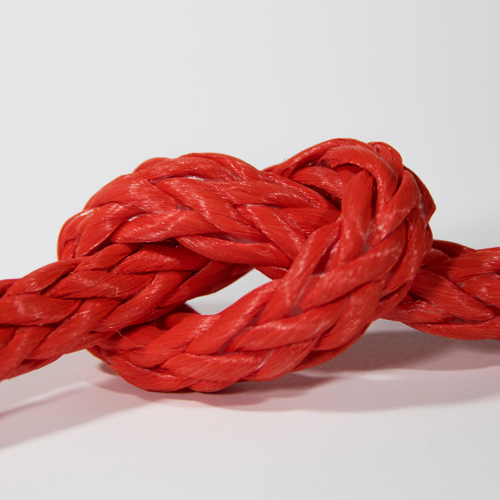 USA Rope produces high-quality custom ropes & winch systems for many different industries. We invested in new and high-tech machines to ensure the quality of the braid meets your expectations and provide you with the best quality Dyneema rope manufacturer in the market. Synthetic Dyneema 12 strand ropes and the Dyneema bull ropes are made of durable synthetic fibers and come in numerous sizes. Having Dyneema fiber rope guarantees that it is 15x stronger, pound for pound, than steel. These synthetic fiber ropes offer less aerodynamic drag than others and are significantly better at dealing with abrasions than carbon steel. Depending on the uses for these ropes, they are inferior to nylon due to its low capacity to stretch. Though Dyneema lacks in elasticity, being UV resistant in addition to its immense amount of strength brings it up to par. 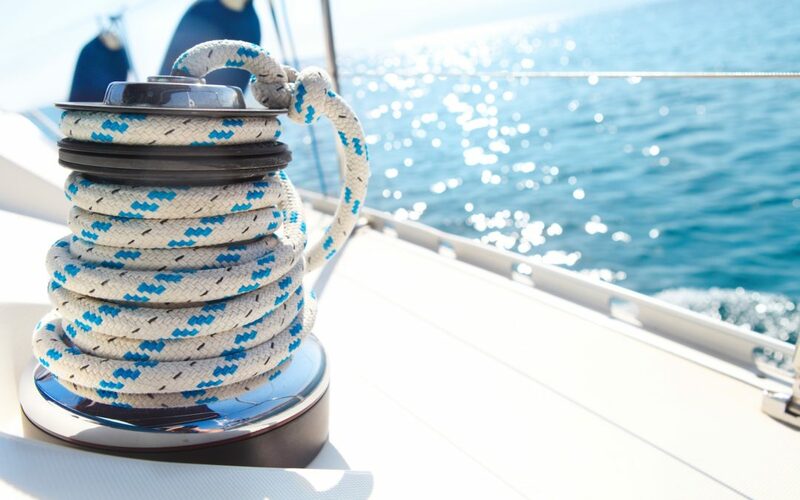 At USA Rope and Recovery, a Dyneema rope manufacturer, we synthetically engineer all our ropes to uphold incredible weight even with the constant friction involved with climbing, off-roading or anchoring a boat. 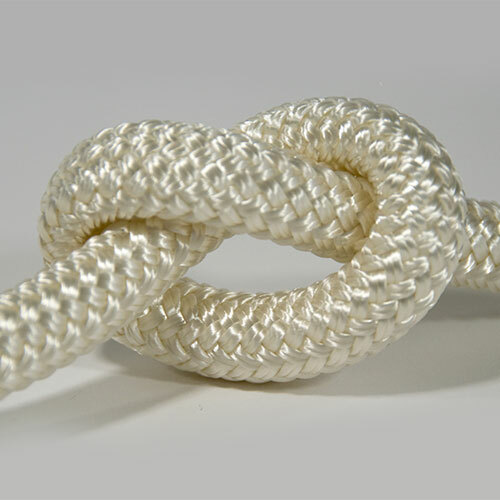 Dyneema Synthetic or Steel Rope for Marine Applications? Synthetic Dyneema rigging rope is the latest and greatest and perhaps the most controversial. Synthetic Dyneema offers approximately 60% in weight savings over other metal materials. Tensile breaking strengths are roughly 25-50% higher when regarding comparable sizing. Synthetic rigging ultra-low stretch performance characteristics are better than any other materials out there. The downside of synthetic Dyneema ropes are that they tend to be more expensive than other materials out there. Even with claiming ten years of lifespan with service in the carbon fiber side of things, synthetic rigging will not last as long as the steel. Steel wire rope has been around for decades, making it perhaps, the most popular choice for the marine industry. Wire rigging is the most common form of standing rigging found on sailboats today, while the 1 x 19 standard stainless steel is the most common style of wire used. Stainless steel wire comes in as the lowest cost product over synthetic Dyneema rope. Life expectancy for stainless steel rope can last approximately 15 – 25k nautical miles with regular inspection and daily care. Stainless steel is the stretchiest and most elastic material, therefore offers the lowest performance. Steel wire does not last as long as a rod, but longer than synthetic Dyneema. Dyneema Synthetic or Steel Rope for Off-Roading Applications? Synthetic ropes came on the scene in the mid-’90s, when it was introduced as an alternative to a steel cable. The original Dyneema synthetic winch ropes were modeled after the durable synthetic lines used in the maritime and fishing industries. Most Dyneema rope manufacturers focus on the safety, lightweight and flexibility of their Dyneema synthetic rope. Made from high-tech polyethylene, synthetic Dyneema rope is considerably safer than steel cable and is now mandatory in most major sanctioned off-road events. The lighter than steel cable also gives it an advantage on vehicles that are sensitive to weight, especially over the front axle. Synthetic rope’s high flexibility and low weight make it much easier to handle than steel with the added benefit of not kinking the way steel cable can. It does not develop sharp burrs like steel rope or store as much potential energy when under load, making it safer to handle without gloves. 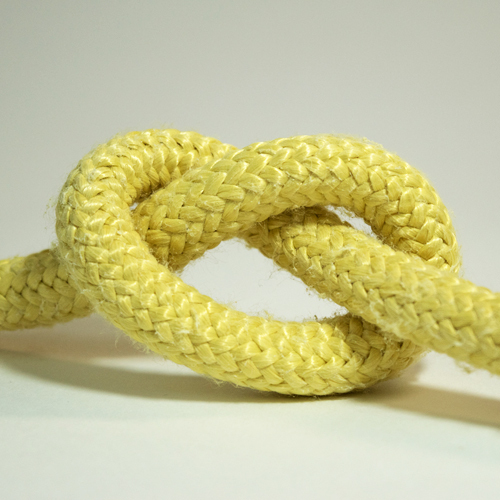 On the flip side, synthetic rope is more prone to abrasion and should be regularly inspected for frays or other damage caused by UV, chemicals, and overall use. Synthetic lines should also be properly maintained. Grains of sand and dirt can work their way into the rope’s core which makes spooling it out and washing it regularly essential for proper care. 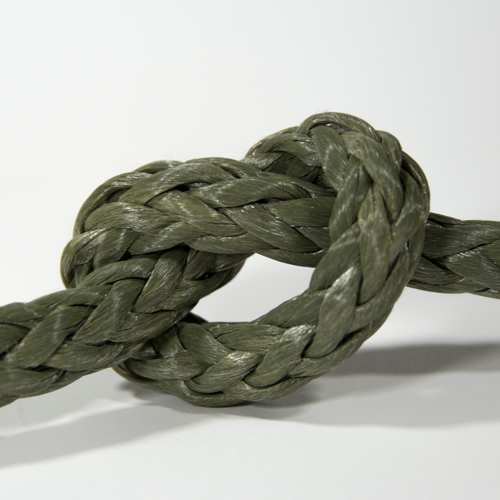 While synthetic rope has a higher breaking strength than a comparable steel cable, that doesn’t mean it is unbreakable. However, unlike steel cable, if a synthetic line breaks, it can be repaired in the field with proper braiding techniques. Synthetic line also has the advantage of floating, which could make a recovery in a mud hole or body of water easier. For as long as winching has been around, steel has been the perfect type of line to use in highly abrasive terrains, such as in mud, rocks, and sand. Steel rope is exceptionally durable due to its resistance to abrasion and is suitable for both vehicle recovery and utility work, such as moving trees or rocks. Ultra-violet wear is also not a factor with steel rope, and it may be a better choice for you if you don’t frequently use your winch. Steel is also more affordable than synthetic Dyneema and requires less maintenance. However, steel rope is substantially heavier than synthetic Dyneema, it can develop rust, and sharp burrs if not treated correctly. It is recommended for users to wear heavy gloves to protect their hands while handling the rope. Steel is also prone to kinks, making it harder to spool up on the drum properly and decreasing strength. Some people immediately think that synthetic Dyneema rope is safer than steel rope while others believe it comes down to personal preference, the terrain, and the level of maintenance you want to dedicate to your winch ropes. USA Rope and Recovery has a goal to serve you with the best quality product along with the most responsive service in your industry. With our dedication in finding the next best and technologically advanced product in the market or industry, we are able to manufacture the highest quality Dyneema ropes across the USA, daily with assuring consistency and longevity in every rope we manufacture. Choose USA Rope for all your Dyneema Synthetic rope needs today!